Here are some tips and ideas to make a Keto smoothie that is a filling meal while sticking with you all morning. This Chocolate  Strawberry  smoothie recipe is creamy and chocolatey !!! I am not eating smoothies right now while I am following a carnivore diet, but I make them for my husband when he gets home from working out ️‍♀️ . But I am always concerned about making them satisfying but not overly sweet. Healthy smoothies can be done to fit a keto diet without too much trouble. Did you wonder how to make a smoothie that is complaint with a keto diet? It is simple when you follow a few general guidelines. Keep protein up and sugar low. 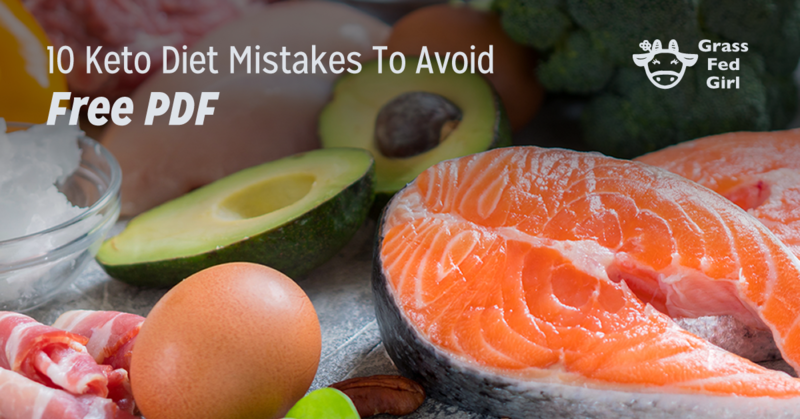 Plus don’t forget the healthy fats. 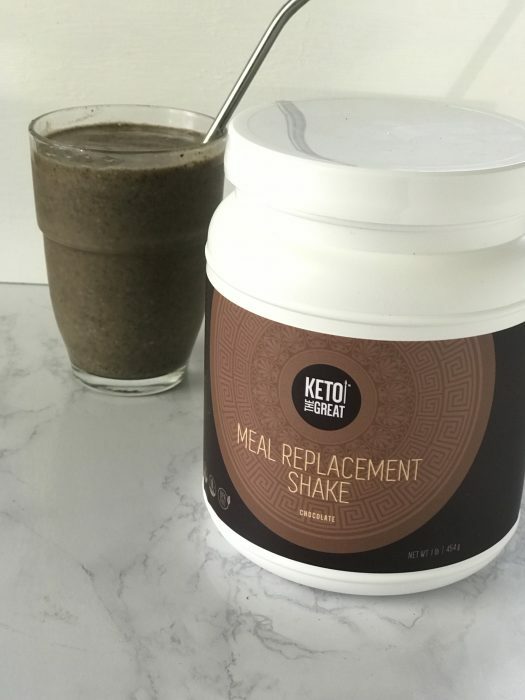 Protein powder can be tricky if you don’t know what to look for but I tried this new one from Keto the Great (the sponsors of this post) and it has the right amounts low carb ingredients and is sweetened with monk fruit to keep sugars down. It has Mct powder too that will keep your energy and fat burning going strong. Blend in the blender until smooth. Add more water if too thick. Serve and enjoy . KETO FRIENDLY – You won’t compromise your keto diet with this low carb meal replacement shake. Each serving contains only 2 grams of carbs. MORE PROTEIN – With 13 grams of protein per serving, Keto the Great’s meal replacement shake has more protein per serving than our top competitors. High protein, low carb, and low calorie – These shakes have everything you need to support a healthy diet. 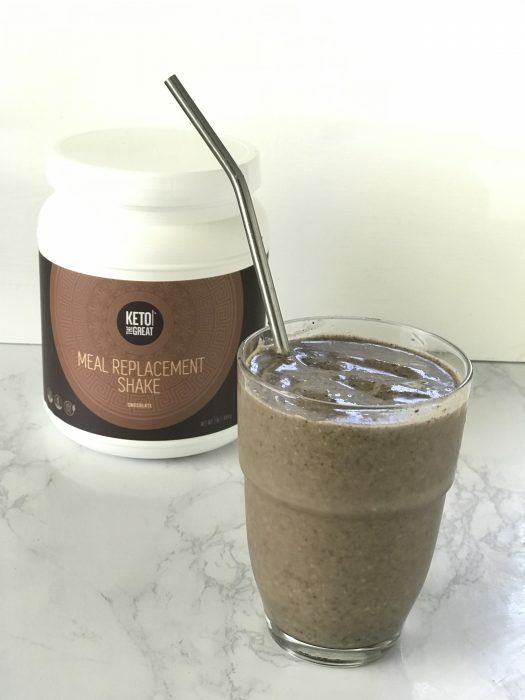 CONTAINS BHB – This delicious shake comes with all the right stuff for your keto diet, including probiotics, MCT, Calcium BHB, Magnesium BHB, and Sodium BHB. Give your body the mineral ketones it needs to support ketosis. MAKE KETO TREATS – Want to maintain keto but still enjoy your morning mocha? We’ve got you covered. Add this delicious chocolate shake to your coffee for a flavor-packed, low carb treat. BLENDS EASILY – This keto powder combines thoroughly with liquids to provide a smooth texture and rich flavor. Keto the Great’s Meal Replacement Shake is packed with fewer carbohydrates and more protein per serving. How did we do that? First, we thought about making a meat-based smoothie, but that was weird. So instead, we looked at what else nature had to offer, and we found that we could get the best ratio of high protein and few carbohydrates by using plant-based protein. In addition to BHB, our shakes contain key vitamins for supporting a healthy keto diet, with each serving offering significant amounts of Vitamin A, B2, B6, B12, C, E, and K-1. Low-carbs, high protein, and tons of vitamins? Now that’s a recipe for keto success.